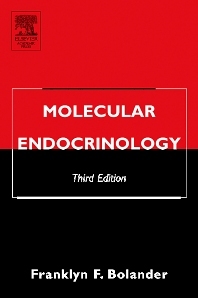 Molecular Endocrinology, Third Edition summarizes the area and provides an in-depth discussion of the molecular aspects of hormone action, including hormone-receptor interactions, second messenger generation, gene induction, and post-transcriptional control. Thoroughly revised and updated, the Third Edition includes new information on growth factors hematopoietic-immune factors, nonclassical hormones, receptors, transduction, transcriptional regulation, as well as other relevant topics. Incorporating an abundance of new information, this text retains the self-contained, focused, and easily readable style of the Second Edition.